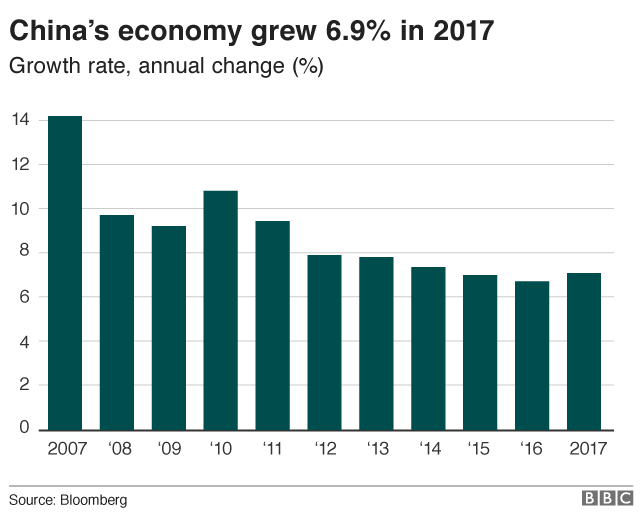 China’s economy grew by 6.9% in 2017 according to official data – the first time in seven years the pace of growth has picked up. The figure beats Beijing’s official annual expansion target of about 6.5%. China is a key driver of the global economy and so the better-than-expected data is likely to cheer investors around the world. But many China watchers believe the GDP numbers are much weaker than the official figures suggest. This month alone, the governments of Inner Mongolia and of the large industrial city of Tianjin have admitted their economic numbers for 2016 were overstated. Taking the figures at face value, the 2017 growth rate is China’s highest in two years. And it represents the first time the economy has expanded faster than the previous year since 2010. Has Beijing’s air quality improved? However as Beijing ramps up efforts to reduce risky debt and to increase air quality, analysts said this may impact 2018 growth. The numbers released on Thursday also showed that in the last three months of 2017, the economy grew at an annual rate of 6.8% – slightly higher than analysts had been expecting. First, it looks like stronger exports – as the world economy picked up – and the final sputter of (another) government infrastructure investment spurt helped make 2017 better than expected. But that’s the model China is trying – gently – to get away from. China’s figures can be so stable, so in line with government targets, that it’s hard to really believe them. In the run up to these figures being published there’s also been an unusual spate of honesty from several provincial governments, who’ve admitted faking their GDP or fiscal figures. All of which fed into the national picture. China’s debt has risen significantly in recent years, with worrying numbers around local government loans, corporate and household debt and non-performing bank loans. The International Monetary Fund (IMF) said recently that the country’s debt had ballooned and was now equivalent to 234% of the total output. It said Beijing needed to concentrate less on growth and instead help improve banks’ finances, among other efforts. Beijing meanwhile says it has been taking steps to contain risky debt despite the impact that might have on economic growth – efforts the IMF said it recognised. The government has promised to continue tackling local government debt, among other efforts, and on Thursday vowed to help state-owned enterprises “leverage and cut debt … and to repay their bonds on time this year”. China’s strict anti-pollution measures, which were introduced across 28 cities last year, are also expected to hurt economic growth in the short term. The measures have included shutting down or cutting back production at factories in heavy industry like cement and steel. Households have also been asked to switch to natural gas and electricity from coal, in an effort to curb pollution. However this policy left millions without proper heating, and so was temporarily abandoned in December. Chinese officials have said Beijing’s air quality improved sharply in the winter of 2017 and heralded their efforts as a “new reality” for the country. 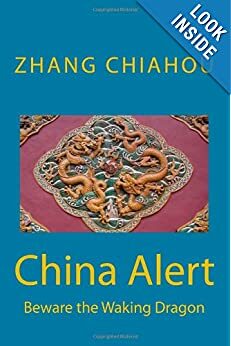 The above news piece is interesting and informing that China is progressing economically and the numbers reported to show for it. I am not an Economist and do not even understand the economic analysis fully, as I know that even economists do not agree with each other. Therefore, I inclined to take the numbers as read! 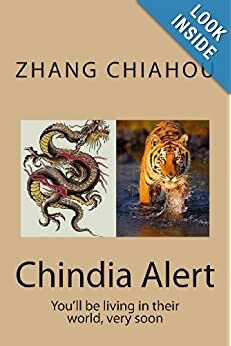 The paper say: Using data from the National Bureau of Statistics (NBS) to assess China’s economic health always comes with caveats, however. There is often a disparity between the government numbers and other independent observations. Whos is right. only time will tell. In the meantime I take the numbers as read.